As you will have seen in the new NME (out May 13), Danger Mouse, Sparklehorse and David Lynch (!) have got a rather special project on the go. It’s called ‘Dark Night Of The Soul’ and it’s an album/book project that sees the lungs of singers including Julian Casablancas, Jason Lytle, Wayne Coyne and Gruff Rhys parping over a brilliant album created by the ‘Mouse and the ‘Horse. It’s out in June, but here’s a track-by-track guide to tide you over until it’s out. 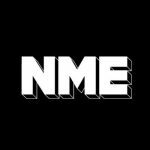 Plus see the NME news story for the full details of the release. A classic Linkous keyboard lurch blended with Coyne’s echo-laden coo produces a mid-paced slice of modern Americana that sits well among The Lips’ or ’horse’s best work. Sprightly guitar plings and oompah bass throbs reminiscent of ‘Rings Around The World’-era SFA make this anti-war ditty – the song that first kicked off the project – one of the poppiest moments on the album. A tender yet sweeping affair built from a bed of acoustic guitars. Featuring ex-Grandaddy man Lytle, it shares several sun-kissed hallmarks with his former group. The electric guitar lines – played by the singer – that run through this entire song could have floated straight off a Strokes effort. The wirey solos cut tellingly cuts against Cassablancas’ endearingly moody vocal. Following his warm vocal on ‘My Drive Thru’ last year, these glimpses of The Strokes frontman in action hint at a slightly more soulful approach for his band’s fourth effort. DM and Linkous’ tactic of matching songs to singers continues with this anvil-heavy, Nirvana-esque grunge song, complete with bucking, dirty riffs and Pixies drum-rattles. A noir, moody but hammering train-paced song provide the perfect atmosphere for Iggy’s wails about “bad brains” being a “mix of God and monkey” on one of the darkest – but still most danceable – moments of the album. Director Lynch offers bluesy vocals over a swamp of electronic gurgles in a soft, understated tone. One of the album’s more atmospheric and sparsely structured songs. Boasting a heady, drunken swagger, Lytle’s vocals obsesses with getting “trashed” and “fucked up” every time he hooks up with his partner. Has one of the album’s catchiest choruses too. With the melody caked in electronic babbling and lyrics about androids, the Shins frontman conjures the feel of a malfunctioning computer amid this glockenspiel and strings adorned epic. Sadly not a cover of Glasvegas’ hit, but a mid-paced acoustic-based country-ish number that’s as sunny as a Nashville summer. One of the most conventionally structured songs on the album, country-ish guitars lilt against Vega’s impressive, breathy-but-powerful vocals. With a Addams Family spookyfeel ‘Grim Augury’ sees the American maverick singing cutting out babies, knives and things “wriggling in gore” over vampiric organ and drum stick clicks. Unsettlingly intriguing. Lynch’s second vocal appearance is a more surreal affair with scratchy pianos and a constant whir that gives the impression it’s being spun out through an old projector. Provides the album with its title.